While many cyclists slow down during the off-season months, Empower Coaching Systems is blossoming full-speed this fall with a flurry of developments. The nascent cycling coaching service led by Dotsie Bausch and Andy Sparks has added Chris DeMarchi to the coaching staff. Empower athletes won three National Championships and made nine podium appearances at the U.S. Elite National Track Cycling Championships. Sparks was drafted to be a coach on Gatorade’s web series, The Quest For G: The Series. Empower will be the presenting sponsor of a newly formed In Cycle/Time to Track women’s professional cycling team for which Bausch will race in 2010. Three-time National Road Champion and four-time California State Road Champion DeMarchi has been named coach at Empower by Bausch and Sparks. He has raced for the past 17 years and has a well-rounded background participating in both cycling and triathlon. A graduate of Cal Poly Pomona where he founded the first mountain bike racing team for the university in 1992 and served as president of the road racing team, DeMarchi brings his expertise, passion, dedication and winning drive to Empower where he can harness his experience from racing and apply it directly to coaching to motivate athletes to realize their true potential. As an Empower client during the 2009 season, he rode to his best season yet. His faith in Empower’s methodology fueled his desire to join the coaching staff. Bausch said, "We are delighted to add Chris to our roster of coaches. He is a one-of-a-kind guy, and everyone who meets him is inspired by the infectious spirit he has for sport and his infrangible mental ability." At the U.S. Elite National Track Cycling Championships held at the Home Depot Center in Carson, California (September 30-October 4), Empower athletes shined, but none brighter than two-time World Champion and Olympian Sarah Hammer, who won National Championships in the Individual Pursuit, the Points Race, and the Team Pursuit, the latter of which she teamed with Bausch. Hammer’s 3-kilometer pursuit time was a track record and the fastest ever ridden by a female on U.S. soil. Along with her gold medal in the Team Pursuit, Bausch also picked up a silver medal in the Individual Pursuit. Newcomer Jake Duehring scored silver in the International Omnium in his very first elite track cycling meet to go along with a 4th place finish in the Scratch Race. Junior rider Shelby Reynolds aced a pair of 4th place finishes in the Women’s Scratch Race and the Keirin, which earned her the distinction of being the top Junior rider at the Elite National Championships. 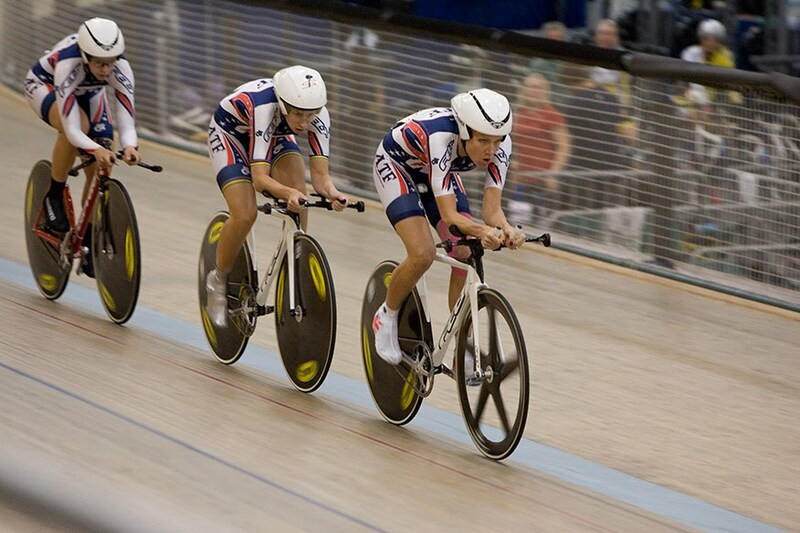 "The U.S. Elite National Track Cycling Championships is the premier track race in the country and we’re ecstatic to see Empower athletes achieve nine podium appearances. A great showing at Track Nationals is the high point of any rider’s season. Our athletes not only achieved their respective goals, they demolished them,” enthused Sparks. Sparks was tapped to be a coach on Gatorade’s online reality show, The Quest For G: The Series, which can be viewed on the Mission G website (www.missiong.com). Eight athletes from various sporting disciplines were selected based upon their potential to live in a house and train with the best coaches in their respective sports in their quest to one day become champions and Olympians. Sparks is coaching New York City bike messenger-turned track cyclist Alex Farioletti. "We’re not only excited for Empower to be a component in this world-class The Quest for G project, but we’re also pleased to add Gatorade to the list of world-leading organizations that rely upon Empower Coaching Systems to achieve their cycling goals," stated Sparks. 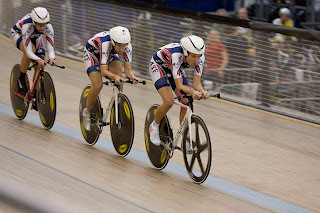 A team created by women, for women based in Southern California, the In Cycle/Time To Track presented by Empower Coaching Systems squad will compete nationally. The program will focus on personal development, tactical and technical aspects of bike racing and mentorship by creating a nurturing environment for the athletes. Bausch, who enjoyed racing this past season as a mentor on the New Zealand-based Jazz Apple pro unit, is jazzed about serving as a leader on the new team. “Empower Coaching Systems is proud to help build a premiere women's racing program that will be something quite special. Our vision is to create a ground-breaking approach in the development of elite women cyclists. Our veteran riders have over 25 years of combined professional racing experience and have earned seven national titles and a gold and bronze medal at the Pan American Championships. We know what it takes to get to the top while having fun, giving back to others, and encouraging people to become their best,” concluded Bausch. Launched last March in a partnership between Bausch and Sparks, Empower Coaching Systems creates customized training programs for cyclists of all abilities – from professionals, Olympians, World Champions and National Champions to amateur racers, weekend warriors and newbies. Each athlete coached by Empower has access to all the coaches on staff, not just one, which provides a unique fusion of guidance specifically tailored to the individual rooted in fostering the development of mind and body symmetry that can be applied both on and off the bike. Empower strives to provide the highest quality of service no matter what level the athlete rides in the belief that everyone should have access to Olympic-level coaching to aid in reaching their full potential. Driven to watch their clients achieve their goals, Empower aims to establish the premiere standard of coaching services in the cycling industry. In addition to the innovative physical training regimen they will design as part of each client’s Victory Plan, their methodology includes focusing on sports psychology and meditation.